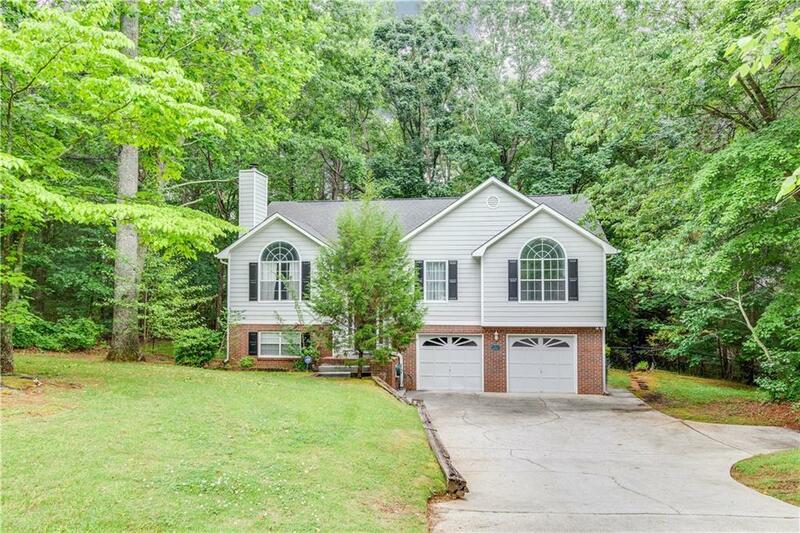 Wonderful remodeled & freshly painted 4 BR 3 Ba split foyer on huge private 1 acre fenced lot in sought after Loganville community. Beautiful white kitchen with SS applainces (fridge stays! ), quartz counter top, tile backsplash, island & bay window with window seat, open to large dining area. Upgraded bathrooms with wood vanities & solid surface counters. Easy care luxury vinyl plank flooring in kitchen, dining, great room & bathrooms. New carpet in upstairs bedrooms. Huge ground level 4th bedroom/in law or teen suite w full bath & walk- out deck to private fenced yd.